Searching for an employer whose high standards match your own? Then your destination is clear—choose Swedish Medical Center, a Level I Trauma Center. Swedish Medical Center in Englewood, Colorado serves as the Rocky Mountain Region’s referral center for neurotrauma and as the region’s first Joint Commission certified Comprehensive Stroke Center, a recognized leader in the most advanced stroke care. 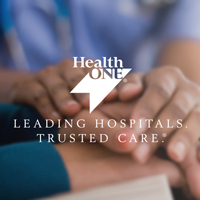 We are part of HealthONE®, the largest healthcare system in the metro Denver area with more than 10,000 employees. Swedish offers patients the highest quality care and the most advanced technologies and treatments in nearly every medical specialty and is an eight-time winner of the National Research Corporation Consumer Choice Award and a Top 100 Hospital recognized by Reuters. An acute care hospital with 408 licensed beds, Swedish is located in the south metro Denver area where it has been a proud member of the community for more than 100 years. Annually, Swedish cares for more than 200,000 patients with a team of 2,000 dedicated employees, 500 volunteers and more than 1,800 physicians. If this sounds like a place you'd like to work, we hope you'll check out some of our featured job opportunities below or search for a position today. There are currently no events available. We invite new or recent graduate registered nurses to apply for a unique opportunity to receive didactic and clinical training for either ICU, Progressive Care, Medical/Telemetry, or Medical/Surgical. This paid, 10-12 week residency will allow new graduates to obtain specific experience through our intensive training and then transition to staff nurse roles within the departments of HCA/HealthONE Hospitals. Seeking an opportunity in the Emergency Department, Labor and Delivery Unit, or Operating Room? For nurses looking to transition into a specialty unit, we offer an excellent career path with our 5 month paid nurse internship programs in the Emergency Department, Labor and Delivery Unit and Operating Room. HealthONE® is the largest healthcare system in the metro Denver area with more than 10,000 employees. As part of the HealthONE family, The Medical Center of Aurora, North Suburban Medical Center, Presbyterian/St. Luke’s Medical Center, Rocky Mountain Hospital for Children, Rose Medical Center, Sky Ridge Medical Center, Swedish Medical Center, and Spalding Rehabilitation Hospital work together to provide a higher level of care. Just like a family, we pull together to care for, support and celebrate with each other. We focus on keeping benefits fair, smart and competitive with a full package of rewards that support your health, life, career and future. These rewards include competitive salaries and benefits, leadership development programs, education assistance, paid family leave benefits and much more. A healthy work environment is more than a set of programs or policies. It's the foundation of our culture; how we focus on safety, involvement, and voice for all our people. We eagerly embrace the challenges of our profession and welcome new opportunities to grow and make a positive impact. 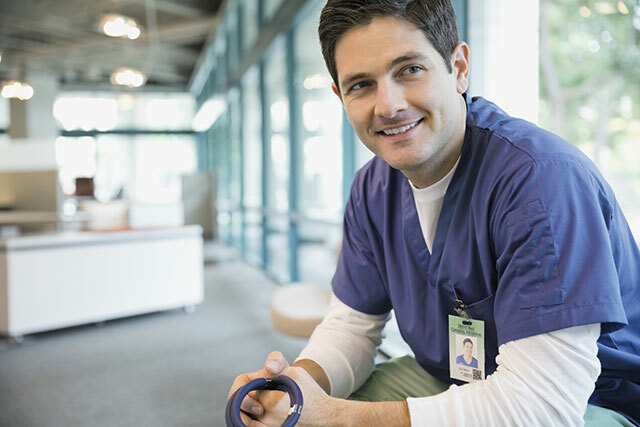 Rediscover the reasons you chose healthcare as your career. Being a part of HCA Healthcare, we provide unprecedented career opportunity including the ability to move within more than 250 hospitals and freestanding surgery centers located in 20 states and the United Kingdom. How can I volunteer at Swedish Medical Center? Thank you for your interest in Swedish Medical Center’s Adult and Teen Volunteer Program. Our dedicated volunteers are valued members of our Swedish health care team and an integral part of providing exemplary service to our patients and their families. Our Mission statement is first and foremost; Above all else, we are committed to the care and improvement of human life. It is a privilege to care for patients in their most vulnerable state, during difficult times in their lives. Our HealthONE vision is to provide exceptional health to every human being and our shared values is I.C.A.R.E – Integrity, Compassion, Accountability, Respect and Excellence. It is our goal at Swedish Medical Center to provide clinical excellence and exceptional service to our patients, physicians and employees. The Mission of Swedish Medical Center is to provide compassionate, high-quality patient care that meets the caring and cost effective expectations of our patients, physicians, employees and volunteers and to preserve and strengthen the Swedish tradition of community service. At Swedish, Our Patients Come First! Our Volunteer Service department proudly affords unique volunteer opportunities to create extraordinary patient experiences with our facility consisting of Patient Ambassadors, 9 Multi-Trauma Meal Pals, Front Information Desk Customer Care Representatives, G.I. Lab, Pathology Lab, Level 1 Trauma Emergency Room, American Cancer Society Cancer Resource Center and Oncology Infusion Center, Radiology MRI, Critical Care and Gynecological Surgery Waiting Rooms, Gift Gallery, Pre-Admit Clinic and Ambulatory Care Clinic, No One Dies Alone Patient Vigil program, Denver Pet Partners Animal Assisted Therapy, Pastoral Care Chaplains, Second Chance Shoppe, Perinatal Resource Center and Women’s Services, Patient Visitation and Nursing floor assistance, Colorado Stroke Coalition P.O.S.S.E group and Swedish Family Medicine. All volunteer positions are non-clinical and placement is contingent on the applicants’ interests and the needs of Swedish Medical Center. If you would like to be considered for our Volunteer Program, please complete the Volunteer Application and the required Background Check form for processing and verification. Ideal applicants for our Teen program must be self-directed, motivated and demonstrate exceptional customer service and communication skills and have a strong interest in pursuing a career in healthcare. Learn more about the Teen Program. Please note all new volunteers are required to commit to a consistent weekly basis, 4 hours per week, for a minimum of 6 months, 100 hours of service. Please note an application does not guarantee placement in the program. 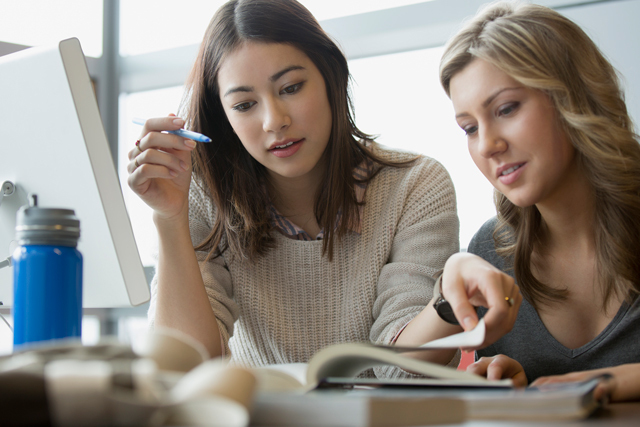 It is strongly advocated that you assess your schedule (academic, employment and extracurricular activities) and availability to determine if you are able to fulfill this requirement prior to applying. If your background check is approved by our Human Resource department, we will then be happy to extend an invitation for you to interview and if selected, attend a New Volunteer Orientation and discuss individual placement opportunities. Whether you are volunteering to fulfill a service requirement, to make new friends or to make an impact at Swedish Medical Center, it's been proven that volunteering is beneficial to the volunteer as well as the organization and people he/she works with. Above all, the chance to make a difference! Should you have any additional questions, please contact our Volunteer Service office Monday through Friday 8am-4pm by calling 303-788-6560. Applications may be emailed to Denise Mathias, Director of Volunteer Services, at Denise.Mathias@healthonecares.com or mailed to: Volunteer Services Swedish Medical Center 501 E. Hampden Ave. Englewood, Colorado 80113. Thank you again for choosing Swedish for your volunteer experience! I Am Experiencing Technical Problems. How Can I Get Assistance? For technical questions on an application to HCA or an HCA Affiliate only, call 844-HCA-JOBS (844-422-5627), then press Option 1. Please note: This number is for technical system support only. You can find all jobs here. You may need to update your browser to the latest version of Internet Explorer, Safari, Firefox, or Chrome to view them. What Is The Application Process for Current HCA Employees? Available positions at all affiliated facilities can be viewed on our employee portal on hcahealthcare.com/careers. It’s easy to find the employee portal. Click the “Employee Login” link in the very top navigation menu. Visit hcahranswers.com to view information about internal transfer and growth opportunities. You can also talk with your supervisor about your career development plan. If you’d like to check the status of a current application, log in to your account. If you have a disability and require assistance completing the online application, please contact the Human Resources Department of the facility to which you are applying. 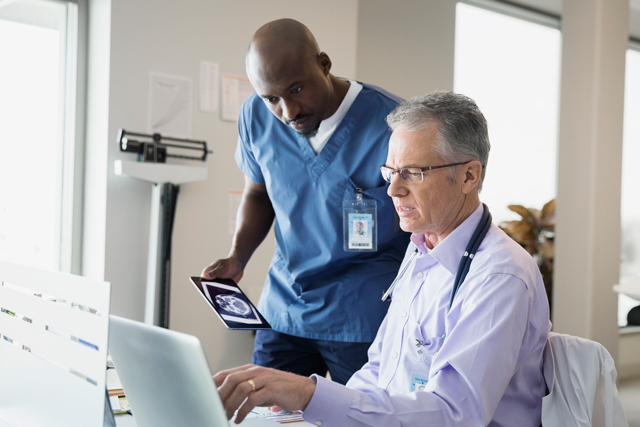 What Is The Application Process for Physicians? Physicians seeking privileges at one or more HCA facilities should contact the appropriate Physicians Services Office(s). Interested in physician and advanced practice provider career opportunities? Visit hcahealthcare.com/physicians and search our latest openings. Diversity is valued and actively promoted in the workforce at all levels. We strive to celebrate cultural and other differences and consider them strengths of the organization. Providing an inclusive work environment where everyone is treated with fairness, dignity and respect. Recruiting and retaining a diverse staff reflective of the patients and communities we serve. Equal employment opportunities are provided to all employees and applicants for employment without regard to race, color, religion, gender, national origin, citizenship, age, disability, sexual orientation, genetic information, gender identity, protected veteran status, or any other legally protected category in accordance to applicable federal, state, or local laws. The policy applies to all terms and conditions of employment including, but not limited to, hiring, placement, promotion, termination, layoff, transfer, leaves or absence, compensation and training. We’ve heard that an individual or individuals impersonating an HCA hiring manager may be conducting online “interviews” and attempting to convince people to send money, supposedly to purchase equipment or set up payroll direct deposit as part of the hiring process.. Rest assured, HCA and its affiliates never do business in this manner. We do NOT solicit payments or payment information from candidates. If you are contacted by anyone requesting payment from you to get a job with HCA, please don’t respond.